Yoshi's Crafted World is all set to release in 2019, and we've got the release date, co-op, trailer, and gameplay details right here. Yoshi's Crafted World is the full title of what was originally merely known as 'Yoshi Switch', and it's due to release for Nintendo's console next year. 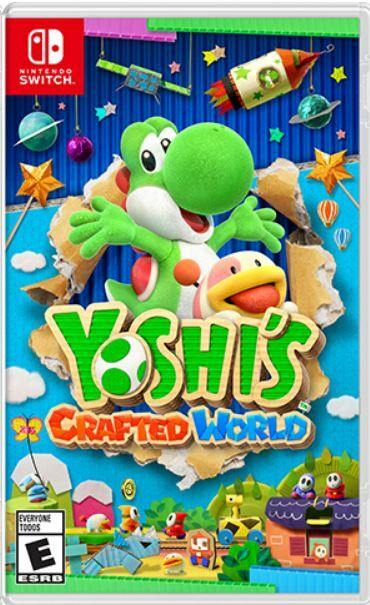 In this Yoshi's Crafted World everything we know guide, we'll be putting together a complete hub of information the green creature's next adventure, including the projected Yoshi's Crafted World release date, all the Yoshi's Crafted World gameplay we've seen so far, and more. As more info is released on Yoshi's Crafted World, we'll be updating this page. We'll be reviewing the game too, so stay tuned for more on Yoshi's Crafted World. When Yoshi Switch was first announced back at E3 2017 by Nintendo, it was revealed that a 2018 release date was on the cards. After this, we heard nothing about the game for well over a year, and so it was only natural to assume the game had been pushed to 2019. Nintendo recently announced that Yoshi's Crafted World will release on March 29. In a Nintendo Direct on September 13, 2018, Yoshi's Crafted World was revealed to be the title of the game. In addition to this, a release window of 2019 was confirmed for the Nintendo Switch game. The Yoshi game for the Nintendo Switch was debuted in a brief trailer for the first time on June 13 at E3 2017, where we saw the traditional green Yoshi running around various 2.5D areas, with a bunch of eggs in tow. 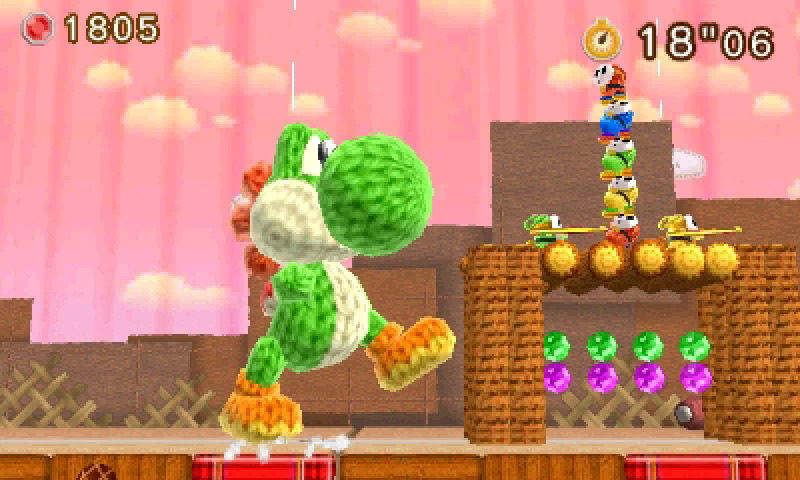 Like previous Yoshi games, such as 2015’s Yoshi’s Wooly World for the Wii U, the Yoshi we play as in the upcoming Switch game is made of wool, but the environment around him appears to be made out of a combination of papier-mache and cardboard, which the player can then interact with, as we see Yoshi knocking down the front of buildings in order to activate the flip mechanic, taking you to the other side of the map and giving you a new perspective on puzzles. We can also see a red Yoshi join the green variant at one point, meaning that this game for the Switch might support two players on one Switch console, using one joycon each. Alternatively, Yoshi Switch could support online co-op using a drop-in drop-out feature, where players can join up at any time. One thing we do know for certain is that Yoshi Switch will be made using Unreal Engine, as revealed by Epic Games Senior Marketing Manager, Dana Cowley. But for some more recent gameplay from Yoshi's Crafted World, watch the Nintendo Direct just below, which aired on September 13, 2018. If you want to see a brief clip of Yoshi's Crafted World in action, skip ahead to the 24 minute mark. Although we have relatively little information for Yoshi's Crafted World on the Nintendo Switch right now, there's still plenty of time before the game eventually releases. Be sure to keep an eye on this guide, as we'll be updating it whenever Nintendo announces any brand new information for the game. For more on Nintendo Switch, you can check out our comprehensive guide on Nintendo Switch Online. For a look at a full slate of game releases in 2019, head to our 2019 game releases guide. Tagged with Guides,	Nintendo,	Nintendo Switch,	Platformer.